Olympic Legacy: Twelve months on, is the sun still shining on Stratford? Twelve months on from the London 2012 Olympics, Shamik Das looks at the legacy for Stratford and the surrounding areas. Friday, July 27, 2012, the eyes of the world are on Stratford as the greatest show on Earth comes to London, seven years and several billion pounds in the making, nerves, anticipation, excitement… And boy, does Britain deliver. A spectacular opening ceremony; gold after gold after gold, on the track, on horseback, on court, in the velodrome, in the lake, in the sea; smiles, joy, togetherness, a feelgood factor nonpareil. But twelve months on, is the sun still shining on Stratford? 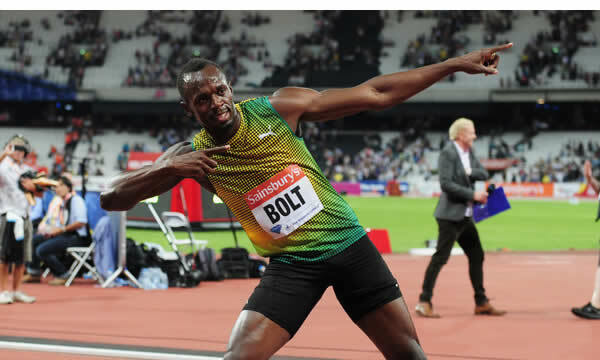 Judging by the rapturous sell-out crowds that saluted Usain Bolt last night, and will cheer on Mo Farah and Jessica Ennis-Hill today at the Anniversary Games, it is. More deeply, though, it’s not as apparent, with many of the key economic and social legacy benefits still to be felt in one of the capital’s poorest boroughs. The government’s legacy plan (pdf), published December 2010, states the regeneration of East London as one of the four key aims of a lasting legacy, with David Cameron vowing to lift it “from being one of the poorest parts of the country to one that shares fully in the capital’s growth and prosperity”. Within 20 years, the aim is for communities within the host boroughs to “enjoy the same social and economic chances as their neighbours across London”. The prime minister’s pledge is followed by similar pronouncements from sports minister Hugh Robertson and the Department for Culture, Media and Sport team in annual (Feb 2011, pdf) and quarterly (Jun 2012, pdf) reports up until the final DCMS Olympic report of October 2012 (pdf), all worth a look, highlighting the changing face of the Olympic park and planned improvements to areas long scarred by economic decline and soaring unemployment. It will not, however, be a quick or easy process. In particular, a commercial future has been secured for all eight major games venues. The most problematic, the Olympic Stadium, was resolved in March with the signing of a deal that made West Ham its main tenant. Plans to build more than 10,000 homes are under way, with 2,800 properties in the athletes’ village being developed by Qatari Diar Delancey. Further housing is planned at the international quarter, a £1.3 billion project by Lend Lease and London & Continental Railways, and 1,200 homes on a scheme by LandProp, Ikea’s property unit. In his presentation marking the anniversary of the Games, Mayor of London Boris Johnson said 11,000 homes and 8,000 jobs had been secured from the transformation of the Queen Elizabeth Olympic Park, with London overall attracting £4 billion of foreign investment since the Games and record numbers of tourists, “helping to regenerate vast swathes of the city and creating many new jobs for Londoners”. The Mayor has also said the legacy development corporation is holding talks with University College London to create a postgraduate campus on the Olympic Park, and announced several multi-million-pound contracts to convert the Olympic stadium. These include a £41 million deal with Balfour Beatty to put in a new roof that will cover every seat in the ground and improve acoustics for matches and concerts. And the cherry on the icing on the cake? The announcement on Thursday of a new £200 million, 20,000 square metre, 300-metre piste snow dome next to the Olympic Park. The complex, which will rival the world’s biggest indoor slopes, will also feature toboggan runs and snow-play zones for children and beginners, building on an idea first proposed two-and-a-half-years ago. The area has already, in recent years, been transformed from dereliction, decline and underinvestment – for more than a century, parts of the Olympic Park site were a dumping ground for industrial and domestic waste; the land was scattered with dilapidated buildings and run-down infrastructure; the old car breakers yard, for example, is now the site of the Aquatics Centre – to a thriving, vibrant, exciting, place to live, work and play. Overall, then, a case of a Hell of a lot already done (bear in mind we’ve barely touched on Stratford’s unrivalled transport hub, commercial centre and cleaned-up environment), plenty going on at present and over the next couple of years, with more to do over the next two decades. Next week, we’ll look at the legacy for school sport and grassroots participation. Birkbeck College & UEL have a new campus on the Great Eastern Road opening in October and the Broadcast Centre is in Hackney. How many locals actually benefited? Plenty of London Spivs and Westminster bubble luvvies made fortunes for sure. Meanwhile throughout the UK good causes lost revenue to fund this London sporting Jamboree. Where is the legacy for outwith of London?